Is it recommended that we use a VPN along with Tor? Would using a VPN along with Tor improve privacy or security? I have read conflicting views, and I was curious what Tor's stance was on the subject. If using a VPN with Tor, would there be a specific set-up? Also, lets say I have two browsers up simultaneously (Firefox and Tor). Could I have the VPN running to cover browsing on Firefox while I have the Tor Browser open in another window? Would this setup decrease privacy in one or the other? I am new to Tor but have been using a VPN for a while. Thank you to anyone willing to share! a vpn just changes your ip encrypts it and makes it go to your vpn provider instead of your isp tor is just like the same except its only for that browser and it goes to voulinteer servers, btw if your doing anything illegal the police most likely dont care so it doesnt even really matter unless your stealing large amounts of money or doing somthing really bad. not bad as in grabbing ip's and ddosing someone for 5 min. Actually VPN hides your IP from ISP but the VPN server will know your real IP address and your packets' destination. 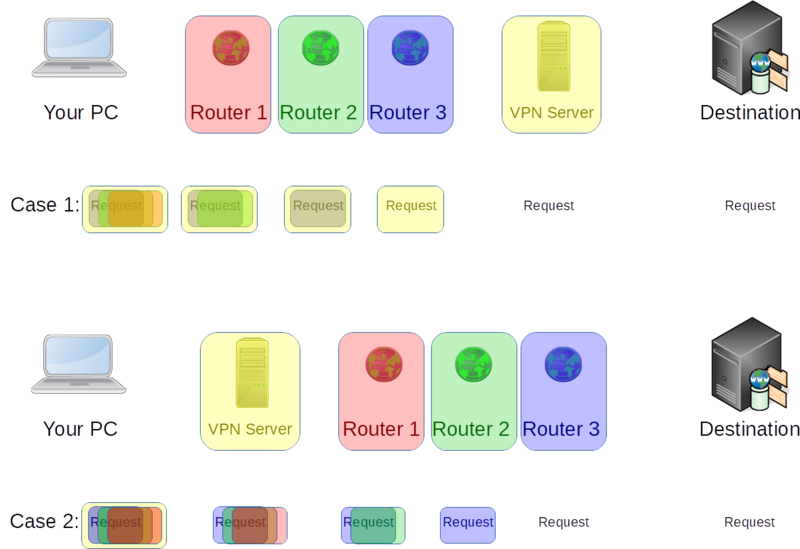 I've described the two scenarios of using TOR through VPN and VPN through TOR in my site. The picture below depicts the situation. For more information you may check the blog post in my site. Why is putting a VPN between the destination and an exit node unsafe?